We have seen a ton of technological advancements within the smartphone market over the last decade. From high pixel density displays to blazing fast performance, and storage capacities that were simply impossible in the past. While there have been a lot of improvements to overall power consumption in the field, a lot of people constantly beg for bigger and bigger batteries in our mobile devices. To get around this pain point, companies have been working on their own version of fast charging technology. Each of them brings something unique to the table. 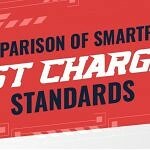 A new infographic has been created to highlight the strengths and weaknesses that these fast charge technologies provide. Huawei has been working on proprietary fast charging technology that they call SuperCharge. This is possible thanks to their 5V charger that is capable of putting out 4.5 amps to the device. This tech is actually compatible with Qualcomm’s Quick Charge standard and you can find it on a number of their more recent smartphones, including the Huawei P20 Pro, Honor 10, and the Honor View 10. 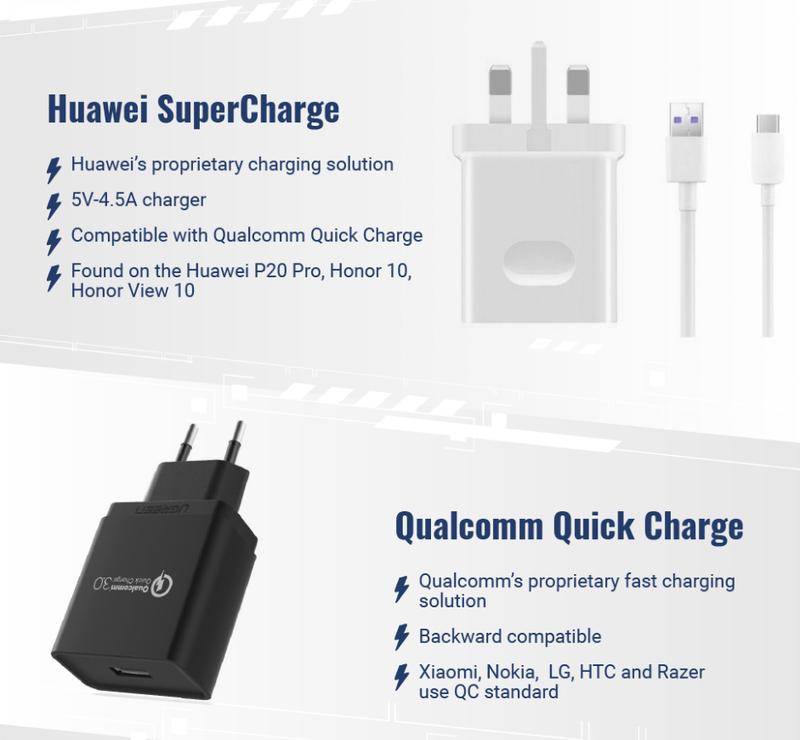 Speaking of Qualcomm, their Quick Charge proprietary charging solution is well known to fans of their Snapdragon chipsets and has been through multiple iterations with all of them being backward compatible with the previous version. High-end smartphones aren’t the only devices that have been able to take advantage of fast charging technology. Motorola has a number of popular low-end and mid-range devices on the market, and their Turbo Charge feature is available in a number of them. Motorola’s solution is actually based on Qualcomm’s Quick Charge 2.0 and 3.0 technology. 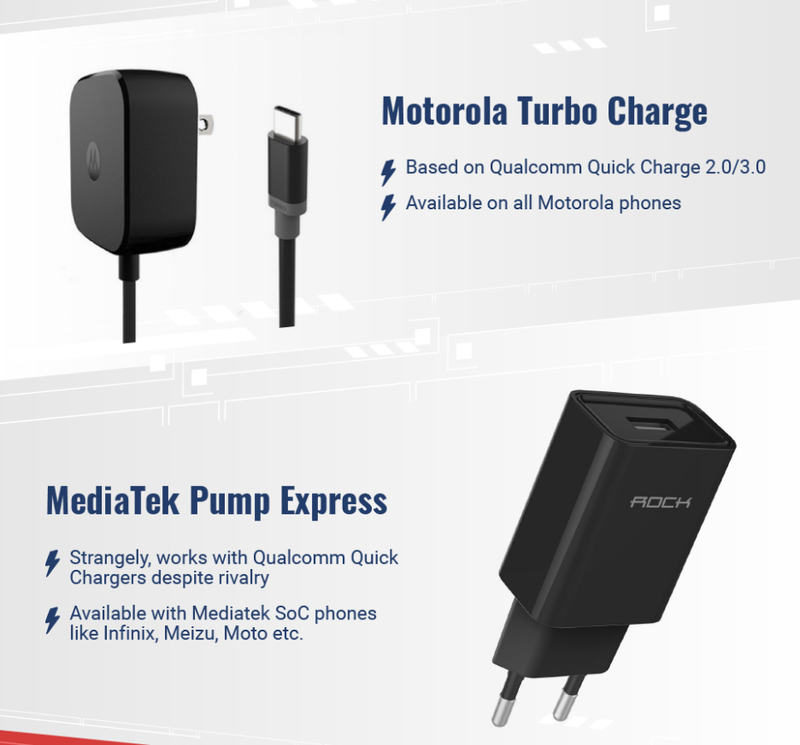 Another interesting thing about Qualcomm’s Quick Charge tech is that these chargers will actually work with MediaTek’s Pump Express fast charging solution. You’ll find these on devices using MediaTek SoCs which range anywhere from Meizu, Motorola, and others. The average customer likely isn’t interested in the technology behind these fast charging solutions since results are the only thing that matter. The full infographic is embedded below and it ranks each of these charging solutions based on various data points. For example, Apple’s Fast Charge tech offers the highest charger capacity (watt) while Huawei’s Super Charge solution has the fastest charging rate (mAh/min).